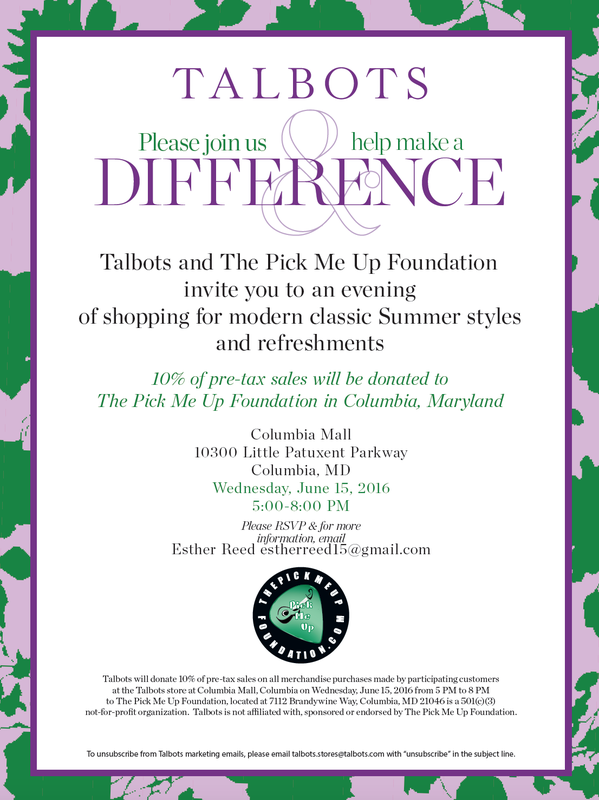 “Happy Hour” Fundraiser to Support The Pick Me Up Foundation: August 20th 4 pm – ?? at Nottingham’s. THE PICK ME UP FOUNDATION was set up to help bring the joy of music to kids who otherwise wouldn’t have the opportunity to play an instrument, take music lessons, or learn how to record music. Our the desire to see every child have the opportunity to experience the passion of music and follow their dreams. 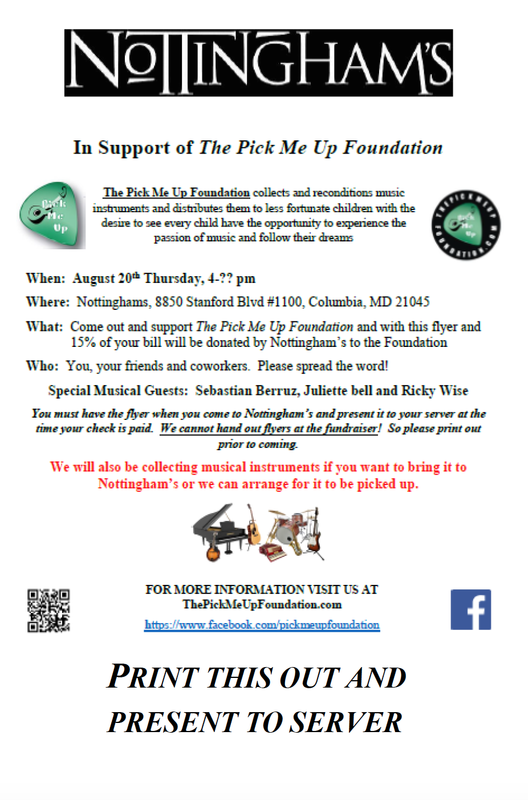 Nottingham’s will donate 15% of your check to The Pick Me Up Foundation. You MUST print and bring the flyer and present it to your server.